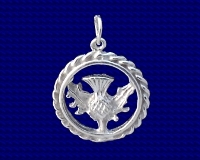 A Sterling silver thistle surrounded by a twisted wire frame. 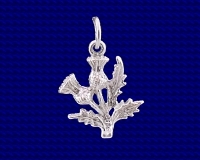 This charm of the national flower of Scotland is also an ancient symbol found everywhere in Scottish design. Approx. size 18mm x 20mm.